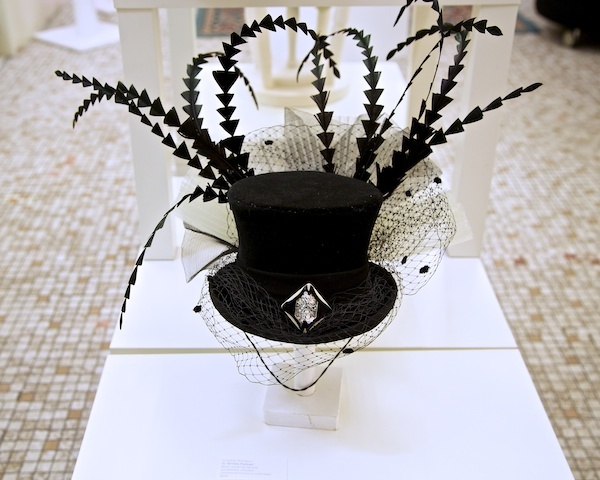 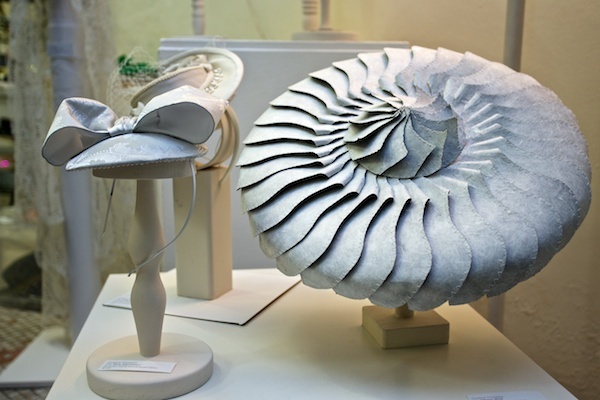 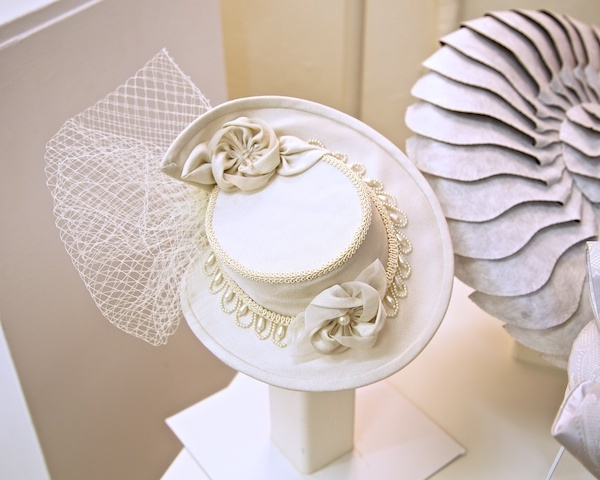 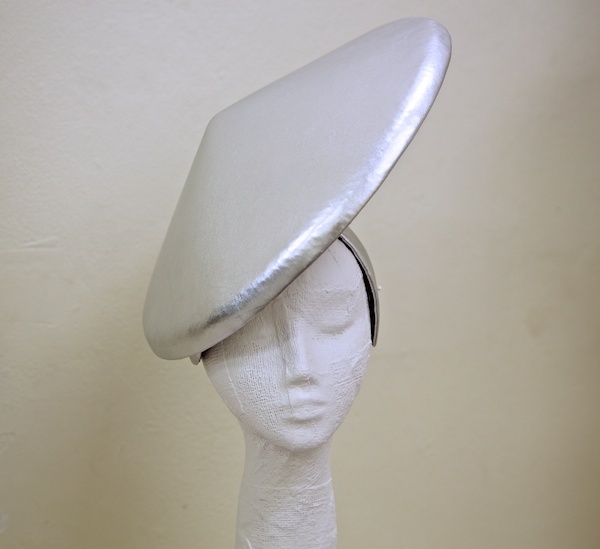 Rick McGill is one of Australia’s most respected milliners with a lifetime of experience. 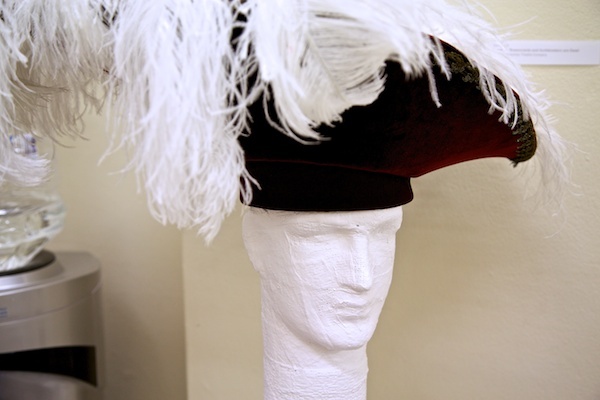 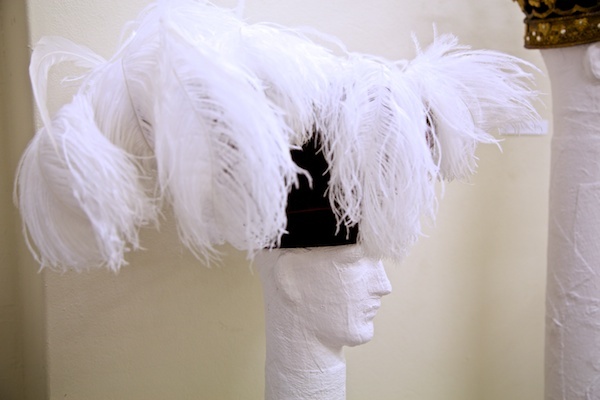 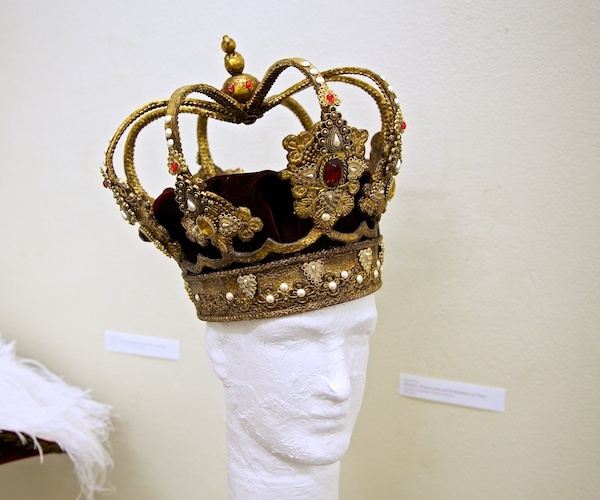 Although, personally, Rick admits he’s partial to a cap, he has created spectacular hats for film, stage and couture, including Nicole Kidman’s headdresses in Moulin Rouge. 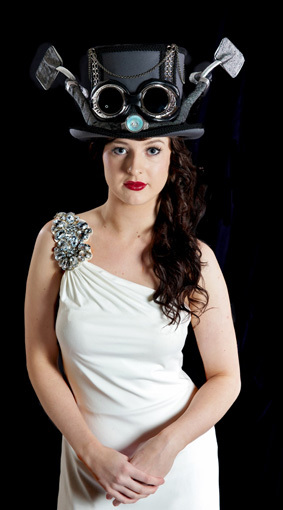 Other cinematic credits include King Kong, Queen of the Damned and two Star Wars films. 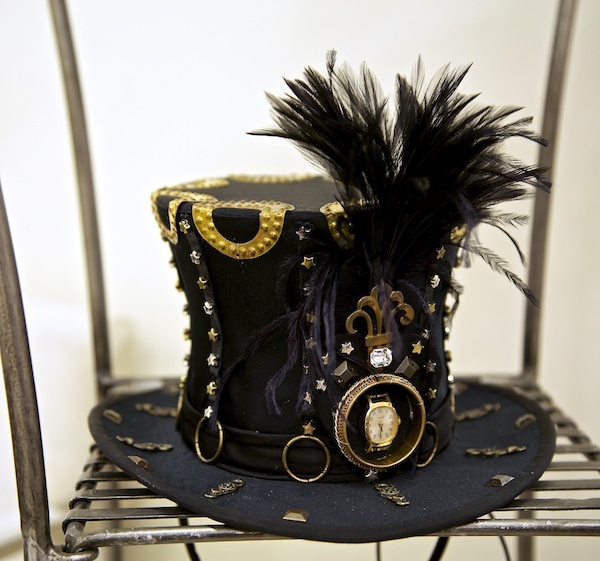 He has been a mainstay at Opera Australia and the Sydney Theatre Company with his on-stage hats appearing in The Phantom of The Opera, Love Never Dies, My Fair Lady, Guys and Dolls, The King and I and Priscilla, Queen of the Desert. 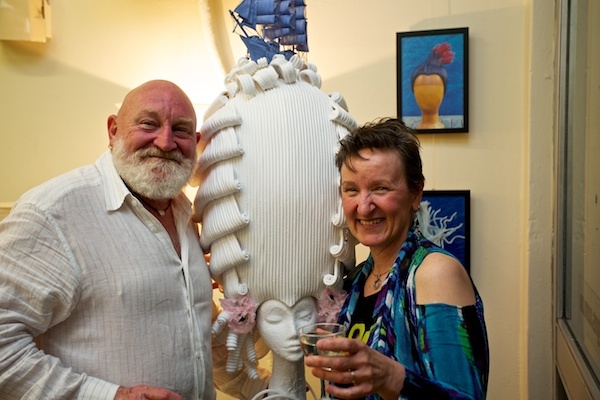 Most recently Rick’s work has featured in ABC TV’s ANZAC Girls and he is currently working on the stage production of Monkey… Journey to the West. 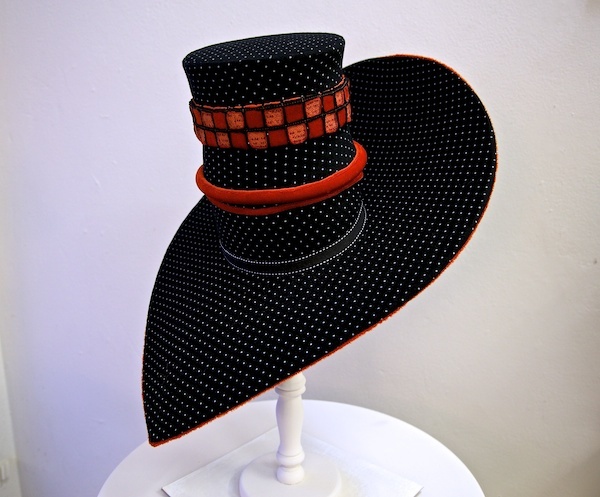 He has lectured in Fashion Millinery across the country. 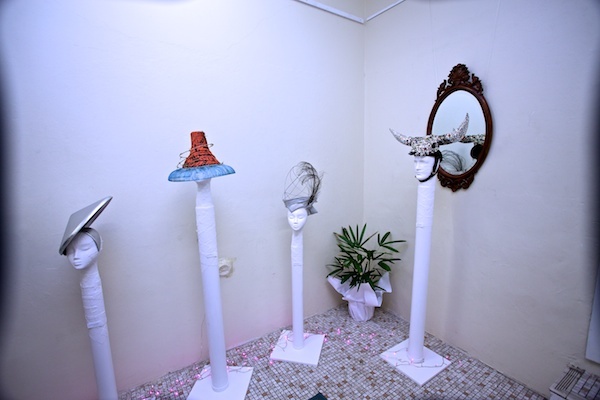 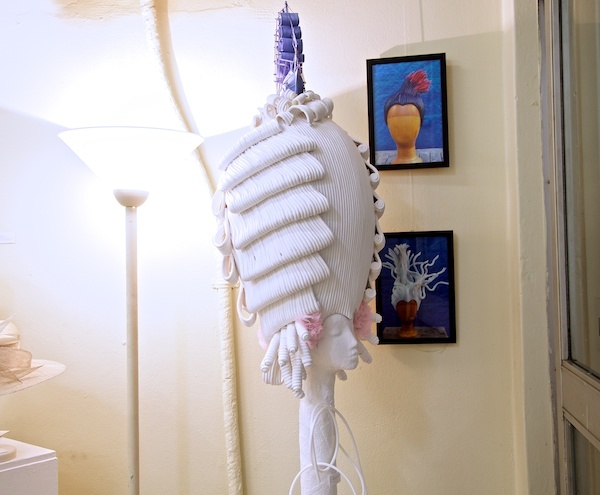 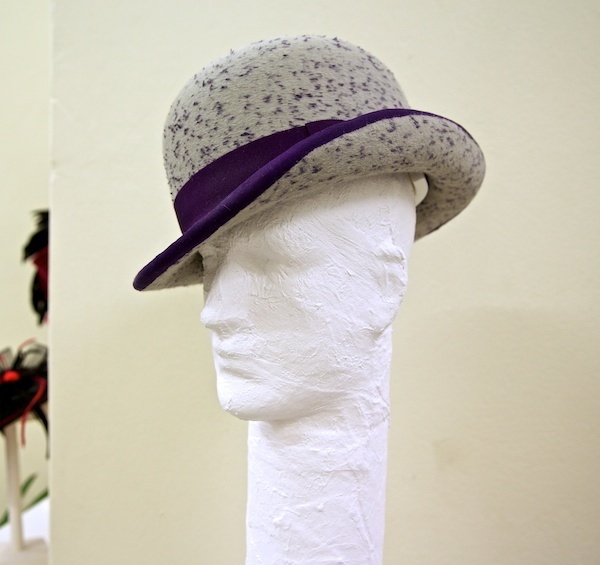 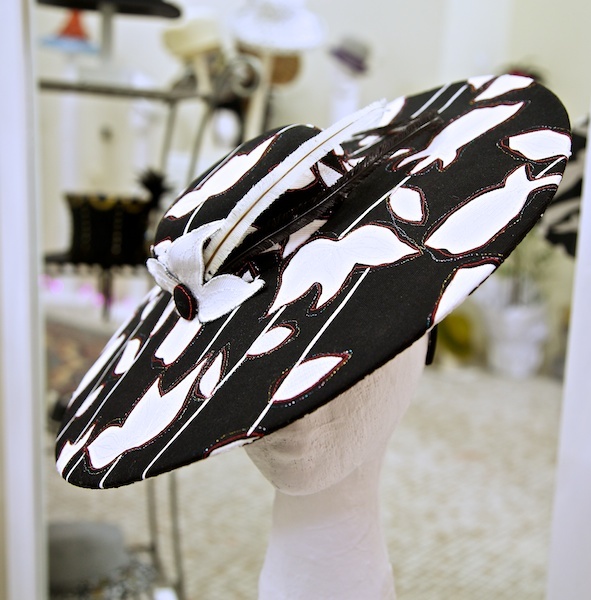 Rick fell into millinery in the sixties while studying Bridal Wear at the famed Emily McPhearson college in Melbourne. 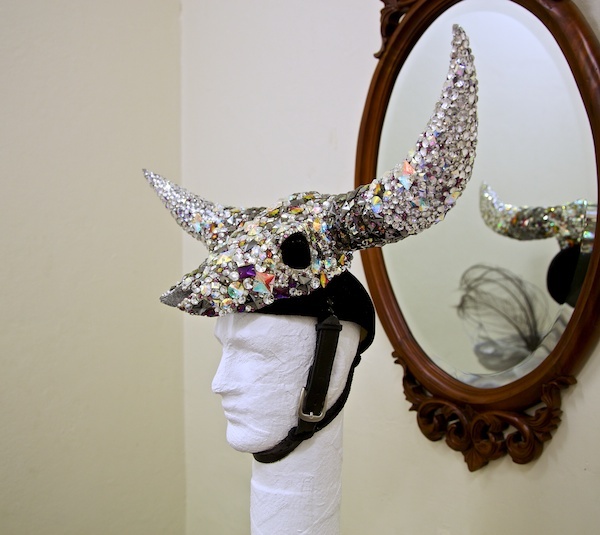 Rick is a master of colour and materials and manages to merge the very different demands of Opera, Stage and Fashion to create a work with an incredible feel of its own. 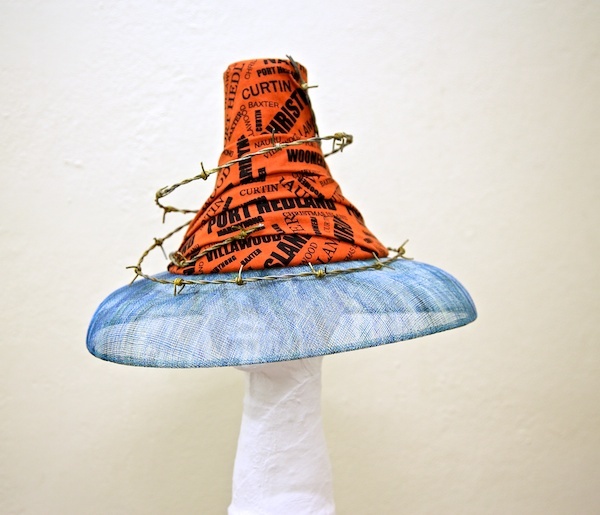 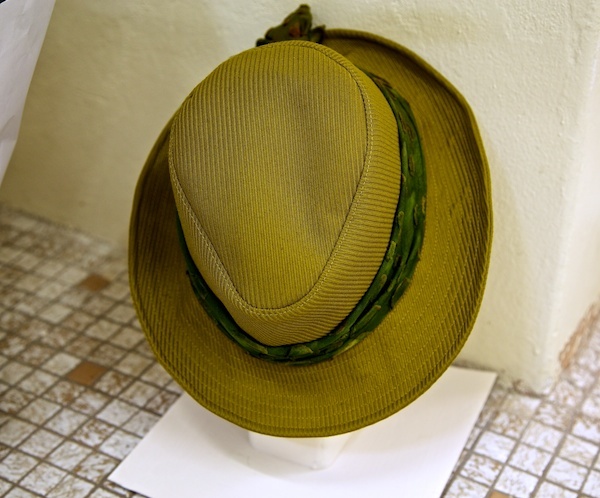 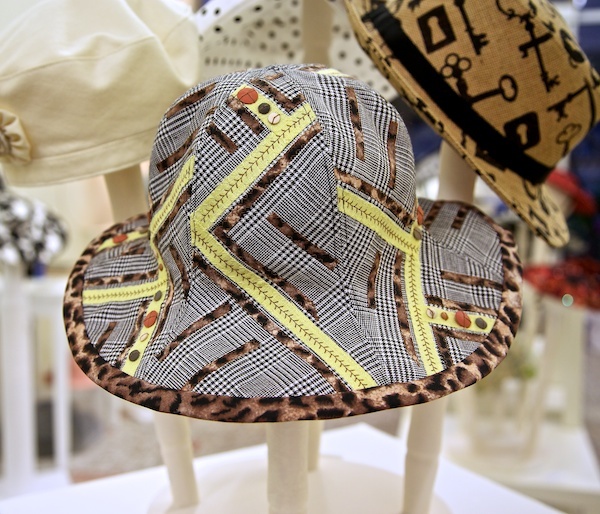 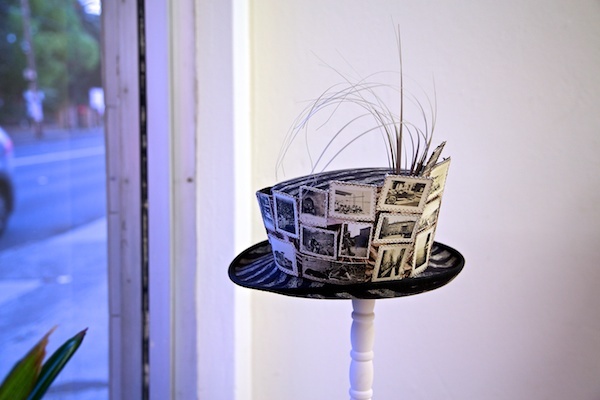 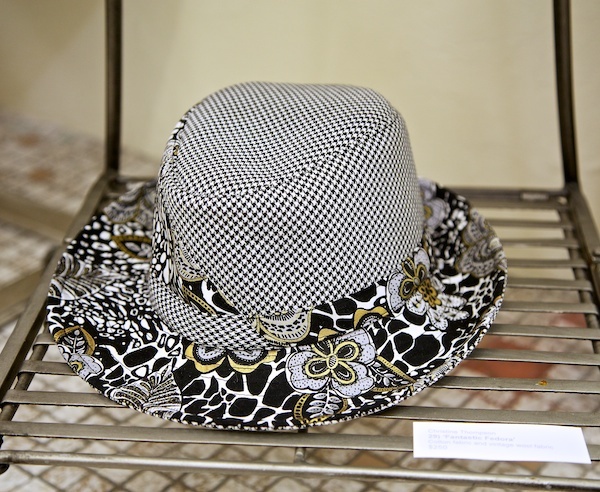 This is his first exhibition at Newsagency Gallery and his hats combine the practical and the fantastical with truly beautiful results. 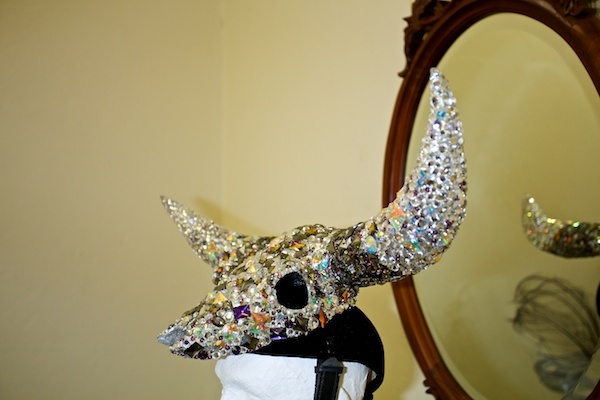 A Melbourne native, his work has been exhibited at the Adelaide Festival and is held in the Performing Arts collection of South Australia. 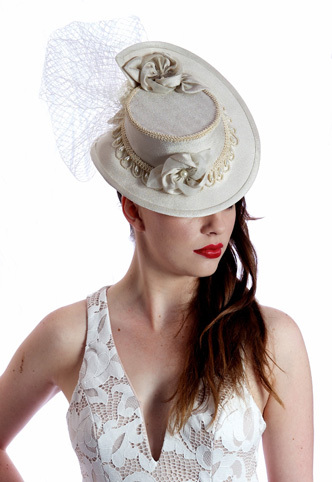 Christine Thompson is one of Australia’s award winning couture milliner’s with more than 20 years experience in opera, theatre, film and musicals. 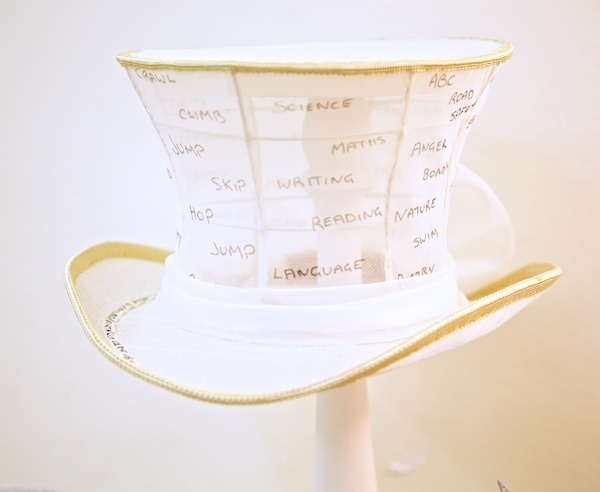 Her impressive list of credits include Carmen, Madame Butterfly, My Fair Lady, Moulin Rouge, Dr Zhivago, Love Never Dies, A Funny Thing happened on the way to the Forum, Chitty Chitty Bang Bang, King Kong, Phantom of the Opera and The King and I.
Christine launched Christine’s Millinery in 2010 specialising in unique hand crafted millinery for the discerning client. 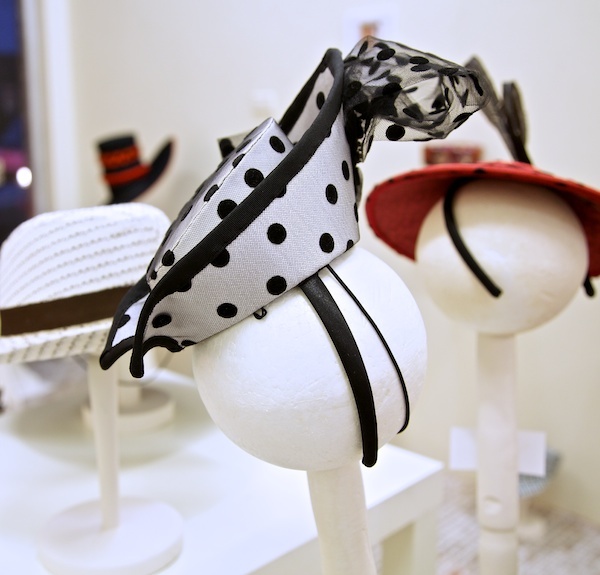 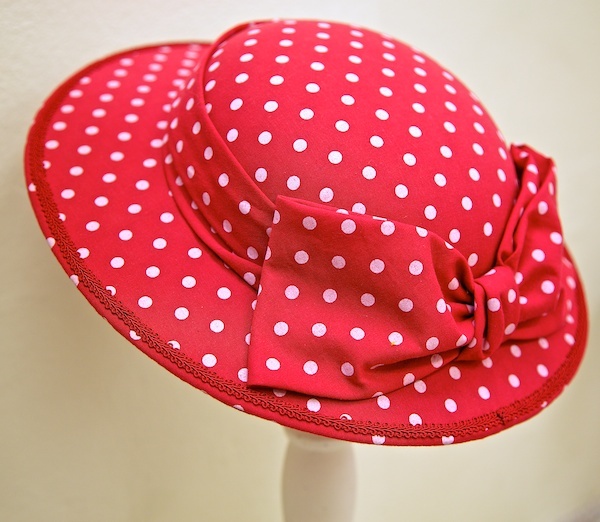 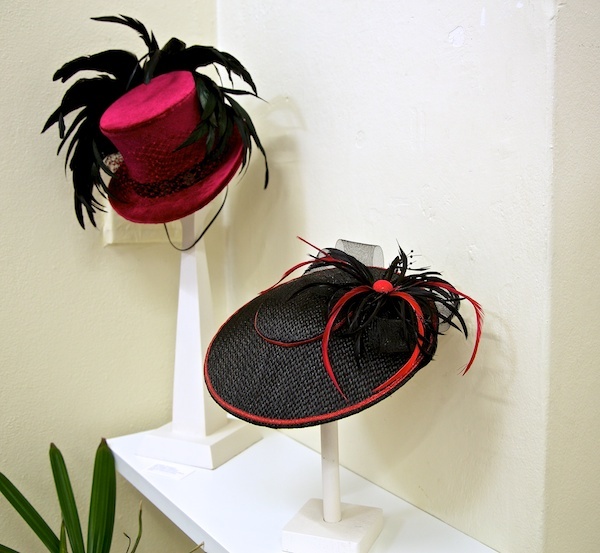 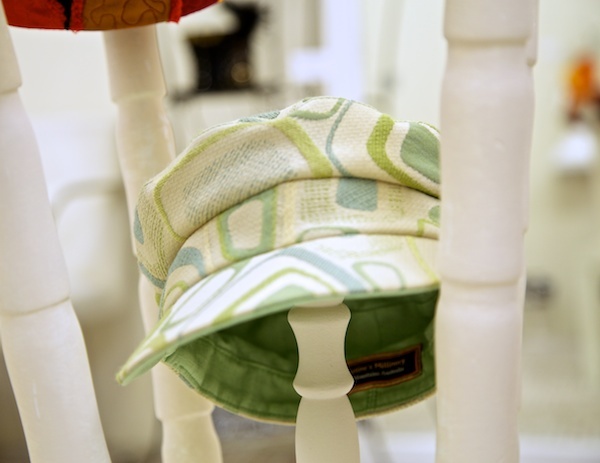 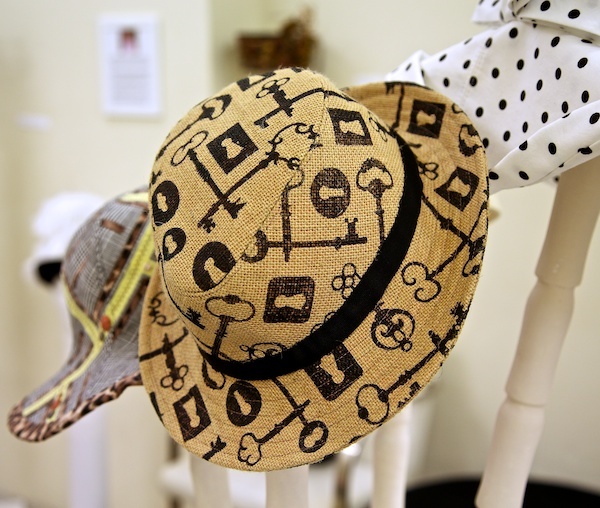 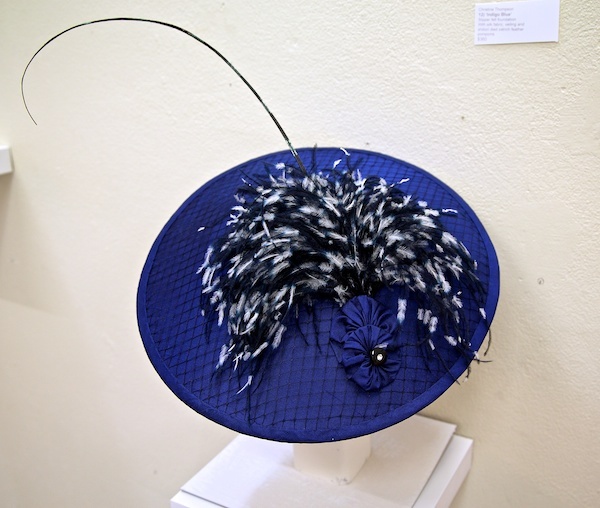 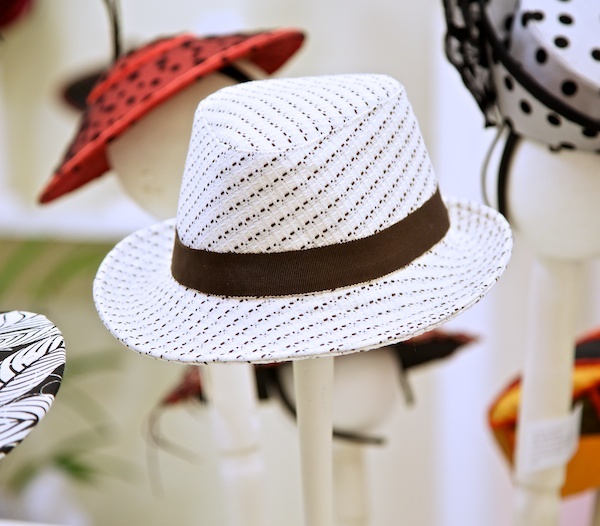 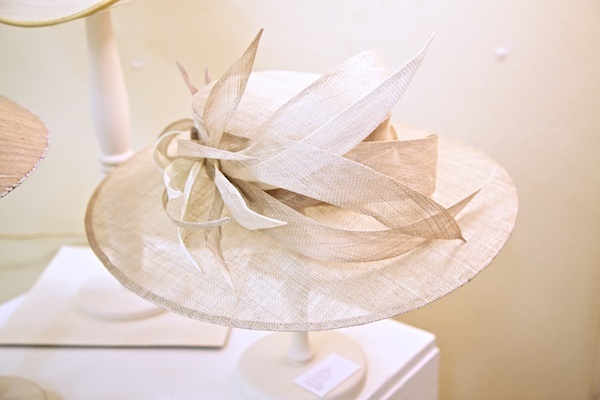 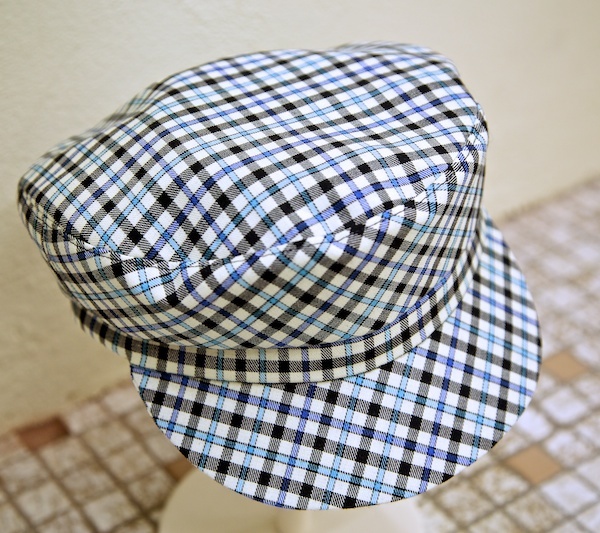 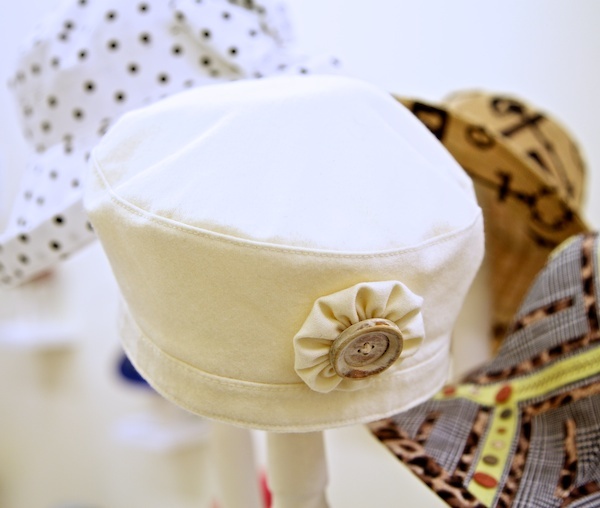 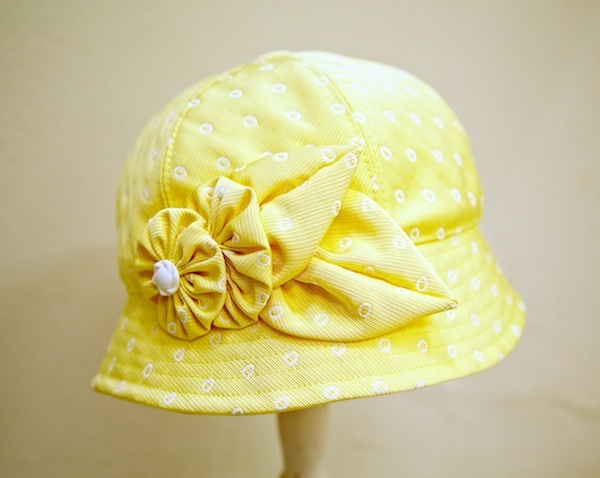 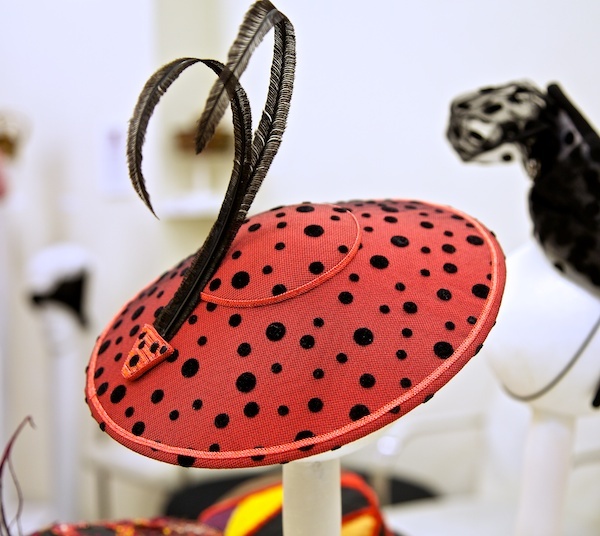 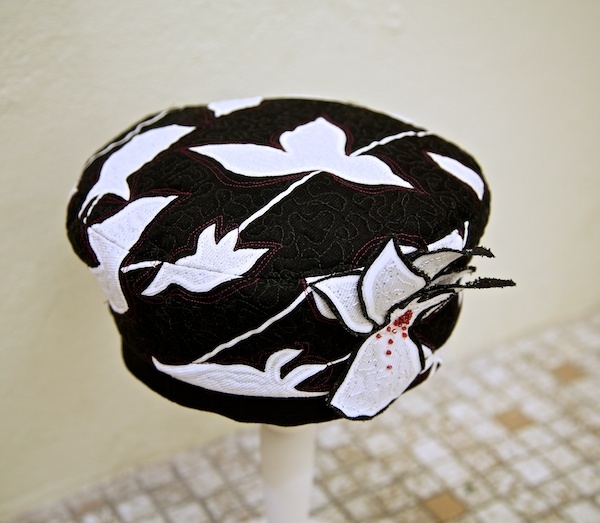 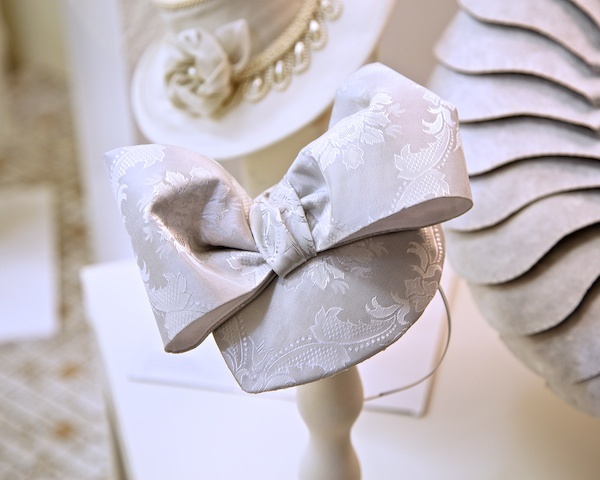 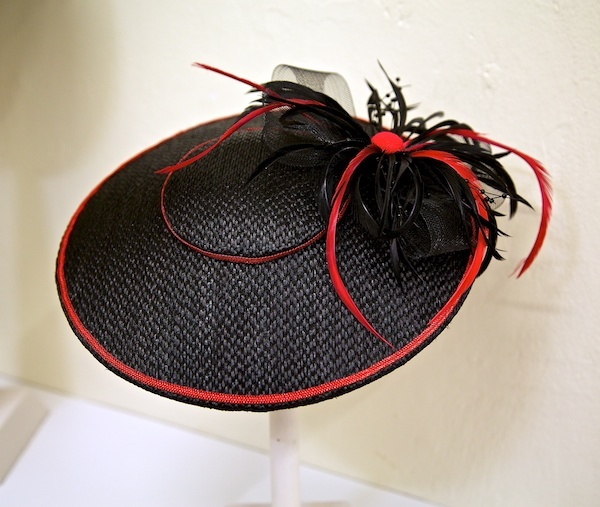 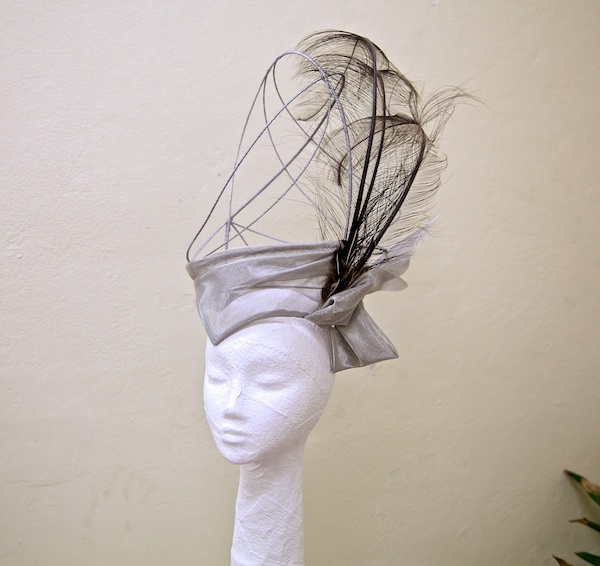 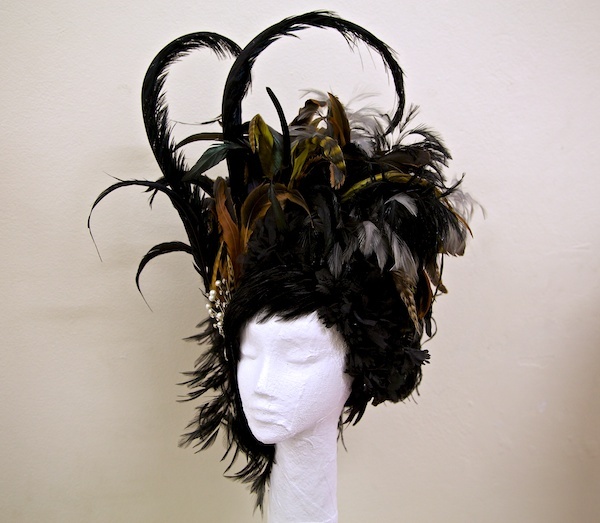 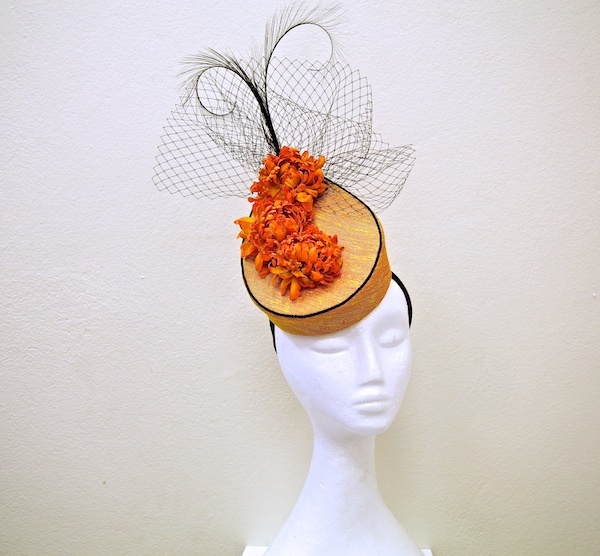 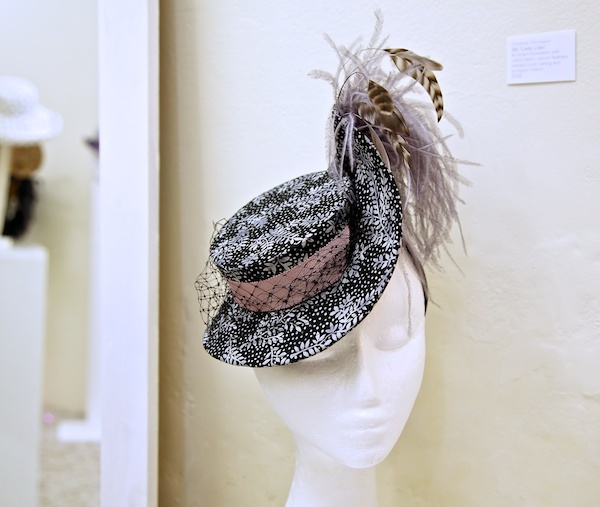 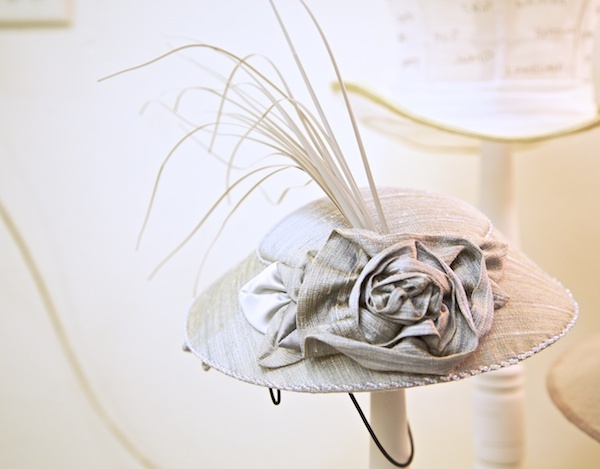 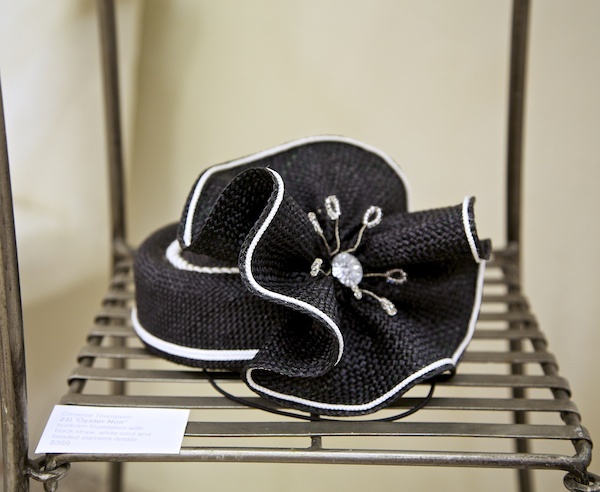 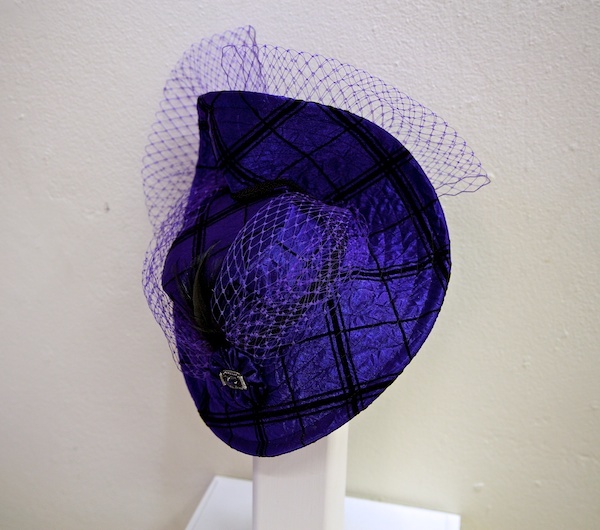 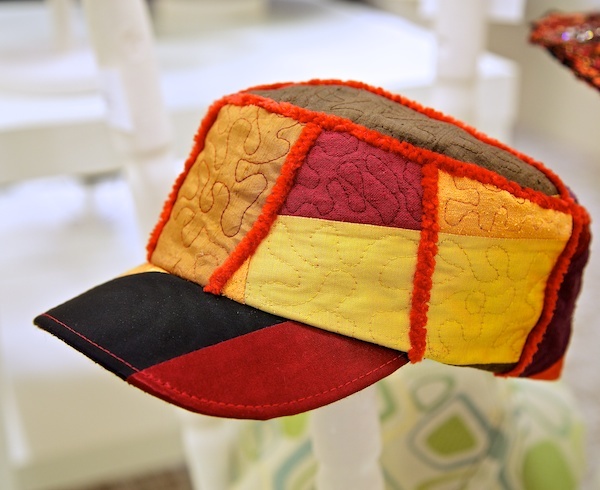 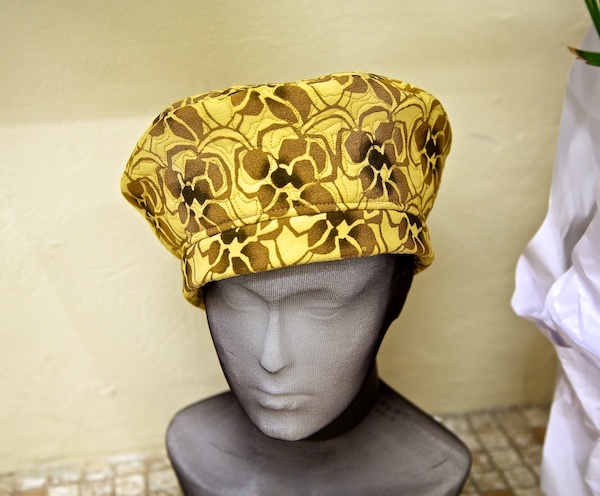 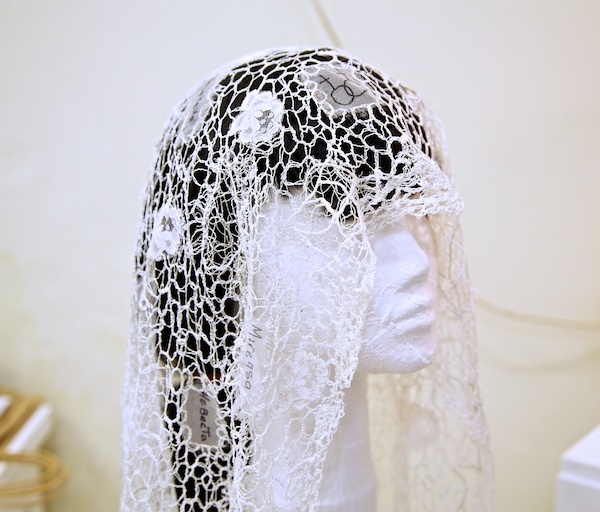 Using only quality fabrics and materials, her range includes bridal, race-wear, fascinators, headbands and fabric hats and caps, all designed and made by Christine in her studio situated in The Blue Mountains, Australia. 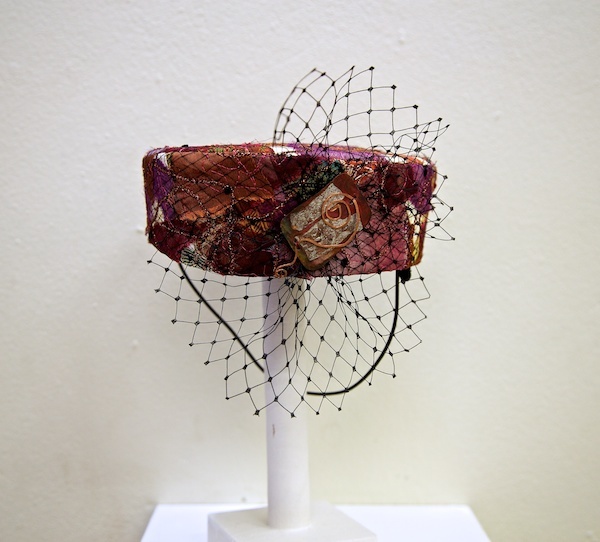 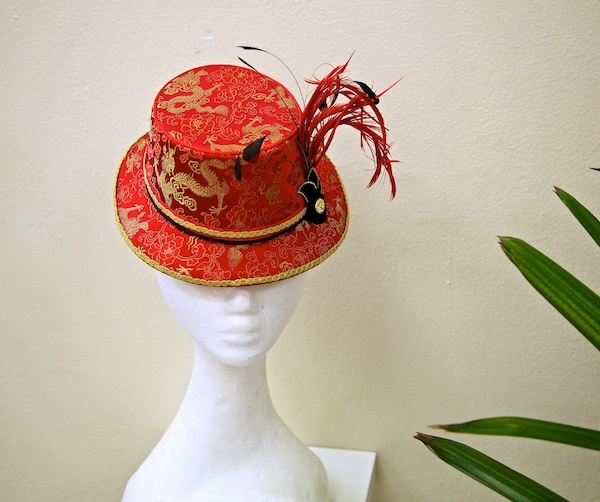 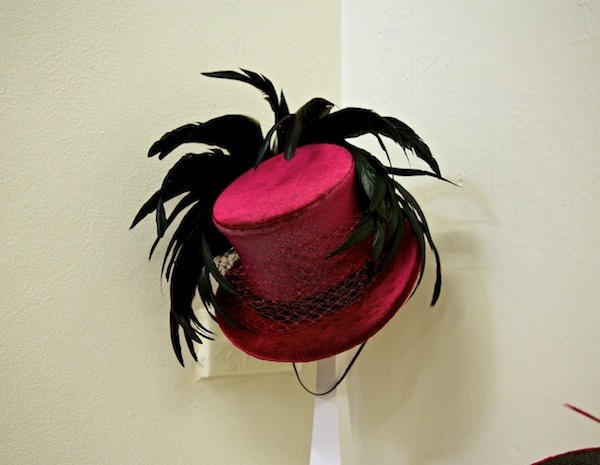 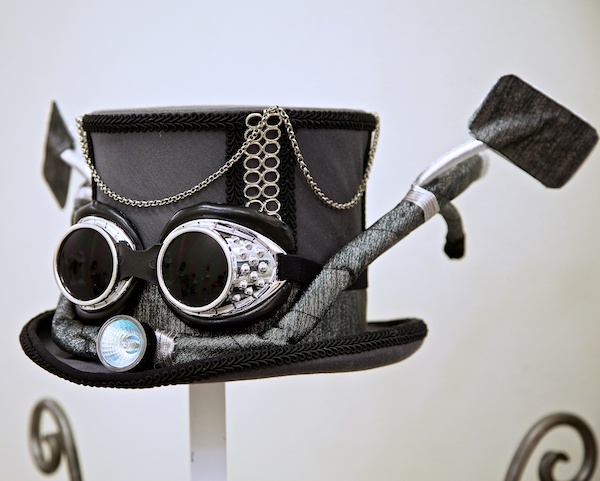 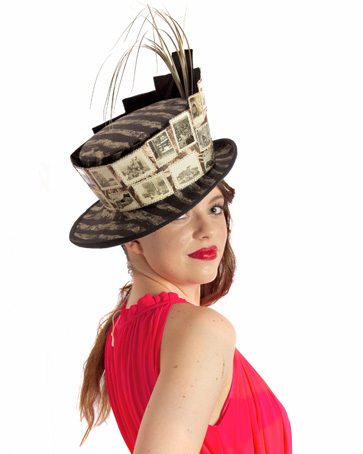 This is Christine’s first exhibition at Newsagency Gallery, she will show a mix of theatrical and fashion head wear, including some steampunk race wear, smart street wear, over the top wedding.